Buhle Waste (Pty) Ltd. currently has the capacity to treat more than 700 tonnes of waste per month within our facilities around the country. 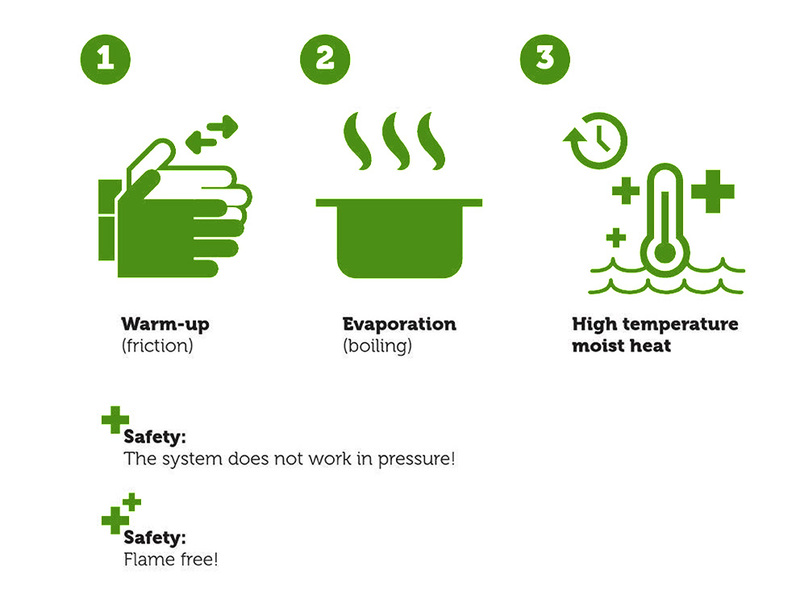 We have 2 treatment technologies currently in operation – The Converter Non-Burn Technology and the Howden Systems Incinerator. We are further introducing the Steam Treatment Injection (STI) technology in 2017 to increase our treatment capacity of waste by another 500 tonnes of waste per month. The different technologies assist us with keeping in line with the country’s hazardous waste treatment regulations whilst reducing our negative impact on the environment through non-burn technology and landfill diversion. We have invested in non-burn waste treatment technology known as The Converter – our flagship waste treatment machine based in Seshego, Limpopo. In December 2015, we were awarded the OMPECO Converter Technology Agency in Southern Africa from Italy to treat HCRW. 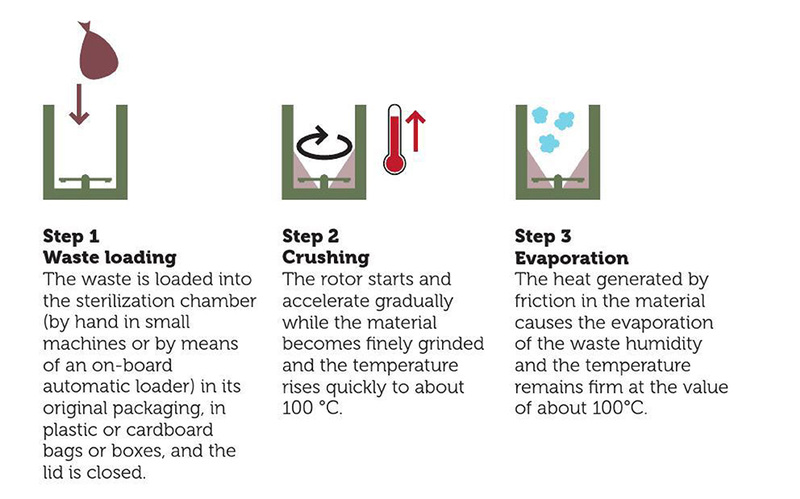 This non-burn technology crushes the waste to unrecognizable form, sterilizing it, and then dehydrating the waste to reduce the original input material by up to 70%. The machine is easy to operate and in relation to other treatment methods, consumes a substantially lower amount of energy and water, thereby contributing to our water and energy saving initiatives. 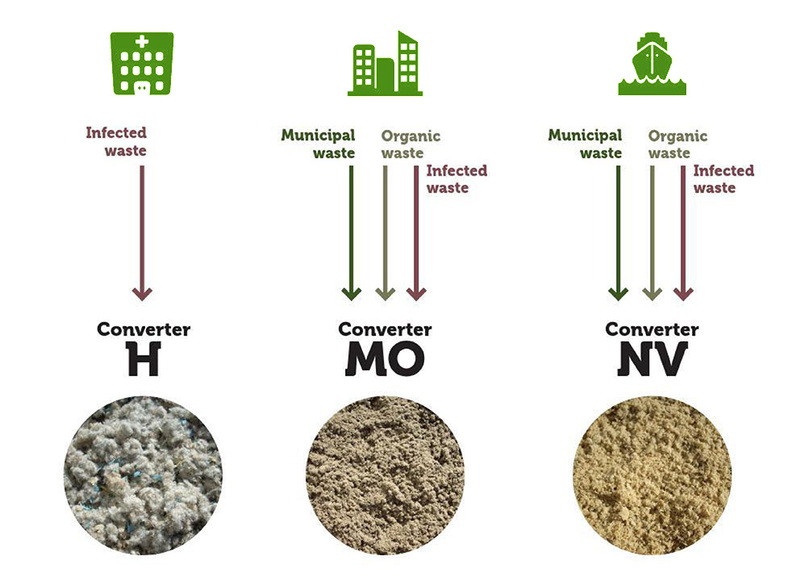 Once treated, the waste’s by-product has waste-to-energy qualities that allow us to divert the HCRW treated away from landfill. Furthermore, the Department of Environmental Affairs has recognized the potential benefits of this machine in terms of its environmental impact, with studies soon to be concluded and published on its effectiveness of treating Health Care Risk Waste. This machine is small enough to be installed on-site at each major waste generator, allowing on-site treatment of waste, whilst simultaneously reducing the logistical costs and dangers of having waste transported and treated by a third party. 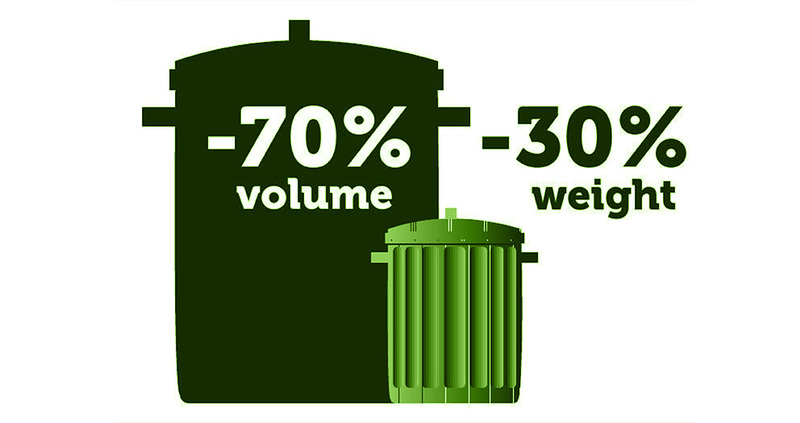 This technology is assisting us in realizing our goal of zero waste to landfill by 2025. 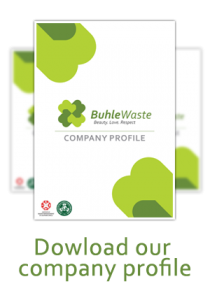 Buhle Waste owns Biomed Disposal Services (Pty) Ltd. in Benoni, Gauteng – an incinerator with the capacity to treat about 400 tonnes of waste per month. As an incinerator, Biomed Disposal Services can treat all types of waste streams that can be generated in the country; more specifically, Buhle Waste has the capacity to treat bio-hazardous, chemical and pharmaceutical waste. We recently acquired Steam Treatment Injection (STI) technology from Biosafe Engineering based in Indianapolis, USA. The technology is used in the hospitals and other medical centres in Atlanta and other parts of the USA. The STI will be introduced on the site of our incinerator, making us the only waste company in the country with both an incinerator and non-burn technology on the same premises. We will have the capacity and capability to treat all waste streams in an environmentally conscious manner. The STI will increase our treatment capacity by another 500 tonnes per month, resulting in a total treatment capacity of 1200 tonnes of waste per month.